TAKE A VIRTUAL TOUR of the INTERIOR HERE! 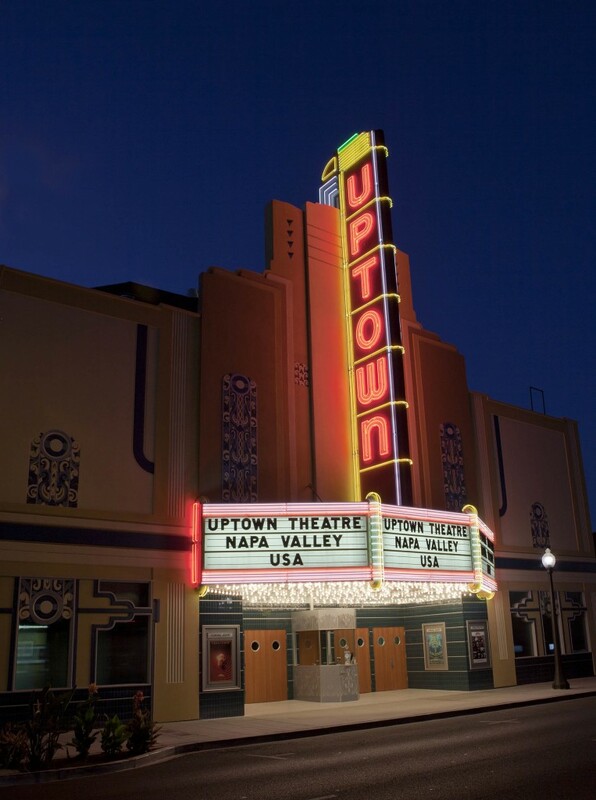 The Uptown has played host to some of the biggest names in entertainment, including Boz Scaggs, Willie Nelson, BB King, George Thorogood, Lyle Lovett, Chris Isaak, Glen Campbell, Citizen Cope, Jeff Beck, Gregg Allman, Joe Satriani, Craig Ferguson, Hugh Laurie, Beck, Chris Cornell, The Indigo Girls, Snoop Dogg, Jewel, Kathy Griffin, Keb’ Mo, Rosanne Cash, Clint Black, Chris Cornell, Ron White, Gavin DeGraw, Brandi Carilile, Los Lobos, Tears for Fears and many more. This is a must-see hot spot for anyone visiting the Napa Valley!